Atsumi Yamaguchi, Meijo University, Japan. Yamaguchi, A. (2017). Principles of my TOEIC test-prep workshops and self-access online materials for TOEIC preparation. Studies in Self-Access Learning, 8(4), 354-357. This short article summarizes my reflections and opinions toward my optional workshops on TOEIC preparation. The workshops have taken place weekly in a self-access center (SAC) in Chubu district, Japan. Many SACs, in fact, offer workshops as a part of their services encouraging learners to enhance their target language proficiency and become more self-regulated and autonomous (Gardner & Miller, 1999; Sekiya, Mynard, & Cooker, 2010). However, few have researched whether SAC workshops are achieving such goals. Thus, I aim to share my perspectives based on my reflections on having instructed the series of workshops for the duration of four semesters. In particular, I will present my three principles to make the workshops attractive and effective: 1) learner development; 2) implications from second-language acquisition (SLA); and 3) guidance on learning resources. I will also illustrate learning resources found to be most popular by my workshop attendees. Finally, I will discuss key elements that may make SAC workshops more meaningful and distinguished as extra-curricular lessons. This short review article aims to share a summary of my personal experiences in instructing workshops at a self-access center (SAC). Many SACs offer workshops as a part of their services. In fact, self-access learning experts suggest that successful SACs should provide workshops that aim to promote learner development (Gardner & Miller, 1999; Sekiya, Mynard, & Cooker, 2010). Such workshops are usually not credit-bearing or mandatory. Examples of topics might range from: external test preparation, vocabulary learning, conversation tips, writing tips, pronunciation, and learner development (e.g., learning strategies). However, it is uncertain whether SAC workshops are successful in achieving their goals. This leads to a question, are SACs reaching a large enough number of attendees to warrant running the workshops? The experience of having worked at two SACs and listening to comments and anecdotes from colleagues working in different centers tell me that we are not. For instance, at the SAC I am currently involved in, each workshop accommodated an average of 6.4 attendees at one center and 2.9 at the other center in the past two semesters. Unfortunately, there has been a dearth of discussion or investigation concerning SAC workshops. 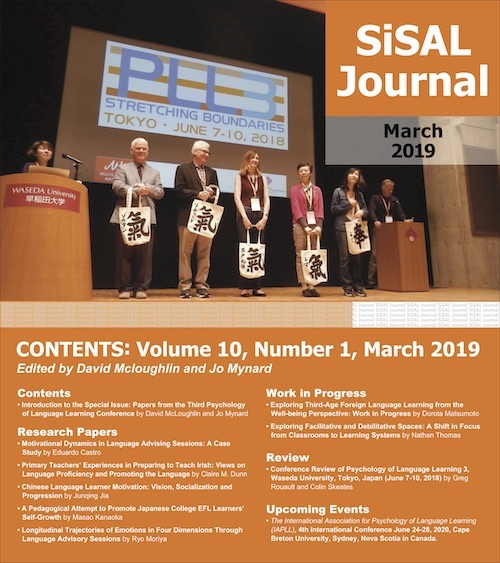 Given these challenges and constraints, this short article presents one successful example of workshops at a SAC, Global Square (GS) on two campuses in the Chubu district of Japan. Although GS has had similar struggles as others regarding attendance numbers, one specific set of workshops on TOEIC[i] luckily continues to bring in high attendance. With this in mind, I hope to share my principles in designing this workshop series and share online resources introduced in the workshops. GS offers four optional non-credit workshops per week at each campus. Each of the four learning advisors leads one of the workshops on their respective chosen topics. One set of workshops includes a series of four workshops on the same topic and each focuses on a different aspect of the same topic. These workshops target students from all faculties, but in reality, the vast majority of attendees are from either the Faculty of Engineering or the Faculty of Foreign Studies. Since the workshops are voluntary, few students participate in all of them. In light of this circumstance, I designed my workshops on a one-off basis. For example, one week, students work on Part 1 of a mock-test book for TOEIC test. Then, the following week, students work on Part 2. At each session, students receive advice on test-taking strategies. These two features may be common in other workshops, but incorporate three principles that differentiate my workshops from others: 1) learner development; 2) implications from second-language acquisition (SLA); and 3) guidance on learning resources. The first principle is guiding attendees toward designing their own self-directed learning by using a model of self-regulated learning (Zimmerman & Schunk, 2007). In practice, students learn about the basic theory of self-regulation and engage in reflective dialogue about what they have learned at the end of each workshop. Students are also encouraged to review materials used in the workshop once the workshop has ended. The third principle is providing giveaways at each workshop, which aim to incentivize learners to take action toward their self-directed learning. The giveaways can be learning resources (print or digital), which learners can easily access. According to the survey, Quizlet was the most popular (50.0%), followed by NHK World (41.67%) amongst the six recommended learning materials. Quizlet is one of the largest online learning communities and is available as a website/app. It also allows learners to make their own folders with the words that they wish to learn, make flashcards to test themselves in a type of a quiz format, and to play with automatically-created matching games. My students were astonished at how convenient Quizlet was to use. In fact, many of them continue to use it after they were introduced to it in my workshop. The second most popular, NHK World, provides a variety of content such as live news, on-demand videos, radio and so forth. NHK World is available as a website/app also. Other websites, which similarly provide videos and audio files (e.g., Voice of America, English Central), were being introduced in my workshops, yet students preferred NHK World. I assume that its popularity is due to familiar content on Japan and the rest of Asia. They would find it more challenging to listen to unfamiliar content in a foreign language, although they could make use of existing background knowledge to understand NHK World’s content. One limitation of NHK World is that there are no subtitles provided. To remedy this challenge, I suggested that the students watch similar news in Japanese so that they could predict unknown words from context. Students reacted very positively to the two applications explained above, as well as all websites and apps introduced in my workshops. I offered many such options in the hope that students would try multiple options, and consequently find the ones they feel most comfortable with. In conclusion, TOEIC preparation can be a perfect topic for workshops being held at SACs by incorporating three aspects that facilitate autonomous learning: guidance on self-regulation, SLA, and hands-on-tools. Because learners need to spend a lot of time in preparation for the test beyond the classroom, it is crucial to equip them with ways to manage their own learning. It is important to note that constructing workshops in ways that allow learners to continue learning after workshops are over is critical. Also, we practitioners cannot forget the fact that maintaining motivation and continuing learning can be the most challenging thing for learners. In this sense, workshops at SACs could play an important role in supporting learners toward becoming increasingly more self-regulated and autonomous. We hope that workshops in SACs will be further investigated and shown to improve learner development and autonomy. Sekiya, Y., Mynard, J., & Cooker, L. (2010). 学習者の自律を支援するセルフアクセス学習 [Self-access learning which supports learner autonomy]. In H. Kojima, N. Ozeki, & T. Hiromori. (Eds. ), 「英語教育学大系」全13巻中の第6巻「成長する英語学習者―学習者要因と自律学習」大修 館書店 [Survey of English Language Education: Vol. 6. Developing English learners: Learner factors & autonomous learning] (pp. 191-210). Tokyo, Japan: Taishukan-shoten. Zimmerman, B. J., & Schunk, D. H. (2007). Motivation: An essential dimension of self-regulated learning. In D. H. Schunk & B. J. Zimmerman (Eds. ), Motivation and self-regulated learning: Theory, research, and applications (pp. 1-30). Mahwah, NJ: Lawrence Erlbaum. [i] TOEIC Listening & Reading Test is a part of TOEIC Program, a set of standardized tests to assess communicative skills in English. TOEIC Listening & Reading Test is a high-stake test for university students/graduates because its score is often required at job-hunting.